It’s been a while since I shared some of the creative pursuits that I do other than writing. I don’t always have time to do a full blown craft or art project, so I do a lot of knitting because it’s portable. Also, I tend to like textile projects for colors, textures and patterns. 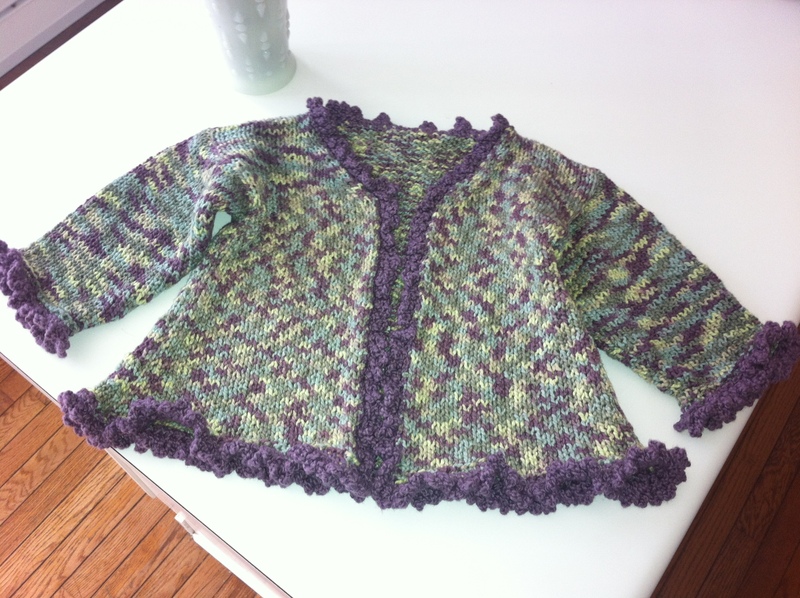 Here’s a baby sweater that I made for my soon-to-be-born goddaughter, Lilianna. It’s so freaking cute (if I do say so myself!) that I want one for myself!!! I’m almost finished with a sweater that I’m making for myself that I also designed. Hopefully I can share pictures next week!